Many of my clients have moved on from wearing classic bootcut trousers with a tucked blouse and blazer for business casual. Instead, they’ve been enjoying a more fashionable combination of cropped trousers, soft top and jacket. The components of the formula are ankle pants, a short drapey blouse, a non-blazer jacket, and ankle strap pumps. Apart from the Riley Tote, the items in this collection are the exact pieces that my client bought last week to create the look. We combined the Sloan-Fit Slim Ankle Pants in black with the Drapey Popover Blouse in navy. The blouse runs big, so size down. The blouse is boxy with theatrical kimono sleeves and would be somewhat overwhelming if it wasn’t shorter than regular length. There is no need to semi tuck the front. Wear it out over slim-fit pants, which should be two to three inches above the ankle bone. Unfortunately the Banana Republic picture of the black version doesn’t show the correct length, but if you follow the link you can see the correct length in other colours. For example, here is the blue version on the right. A non-blazer topper like a textured moto jacket, trapeze cut or a tuxedo silhouette is a great way to top off the look. But if the top and bottom are in sufficiently dressy fabrics, like the ones shown here, you’ll look pulled together without a topper. Ankle pants with ankle strap pumps are a match made in heaven. My client liked the outfit best with the zebra skin Okala pumps, but on days when she wants to wear flats, the Cole Haan Skimmers in black are a good fallback option. We finished off the look with a large matte gold tote, a funky pendant necklace and gold stud earrings. My client looked stunning and was extremely pleased to be wearing something different to the traditional business casual ensemble. Outfits based on this formula are comfortable and current. They surrender the waistline, but look “just tailored enough”, relaxing the business casual dress code with a fun dose of fashionable integrity. It’s also a great option when you’re sick of jeans, and want to look a tad dressier but feel just as comfortable. Do black with navy ( or ink blue). Thanks for the formula and pointers. Great option for me. I need to refresh my summer pants and blazers. 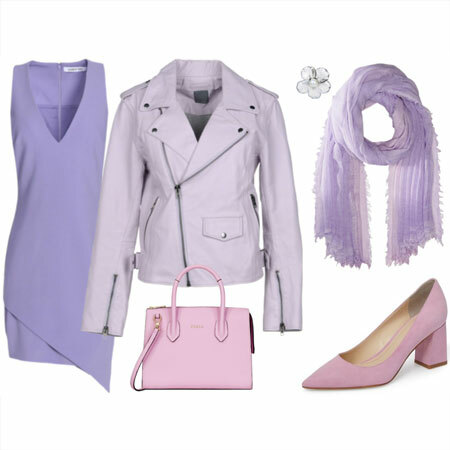 A great outfit formula, and one that is perfect for warmer weather. Thank you! So if I get it right, the pants waistline should be higher, so that the boxy shorter blouse can brush over it without revealing skin? The Sloan Fit Ankle shown here appear to have a mid rise. I wonder if that would be a problem for a long-waisted gal. Would it change the look’s vibe completely if the same outfit was worn with high waist ankle pants? Thank you Angie for this enticing outfit idea. Beautiful combination I like the look of the kimono sleeve for a breezy option. This combination is one of my go to “uniform” looks!! Beautiful combo, I like it a lot. I do not wear real business casual very often, but will keep it mind for when I do. Lovely outfits!! But I never realized how formally I dress until I started reading your posts. I would wear this off hours to shop/market, coffee, just normal nice casual but knock around clothes. I honestly never realized that what I consider comfortable work wear is business formal!! Who knew!! Blazers always for dress/casual- standard operating procedure even with jeans or leggings. Either way it all makes me happy and this provides great ideas for weekend! Beautiful outfit, Angie. Thank you for showing us! I have the same question as Krish. How does the rise affect the look? Great ensemble, Angie. 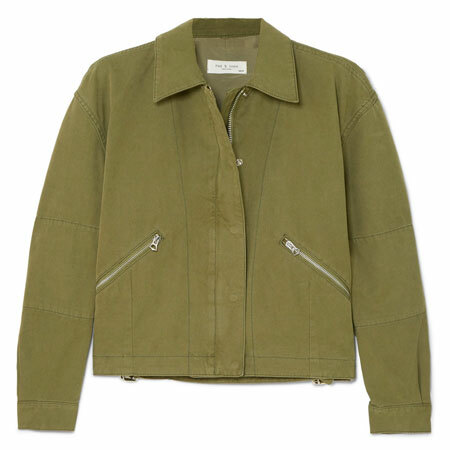 The moto jacket in the lighter color, with its texture, is gorgeous. Such a great way to make business casual current and accessible. Like Tanya, I rarely do true business casual but I’d wear this with different shoes for smart casual. I am still looking for black ankle pants though. The Sloans don’t work for me; they are too tight in the hip and thigh. I wish BR would make Martin skinnies again! This is a great look and doesn’t have to be just for business casual. I can put the same sort of items together for my own lifestyle and it will work nicely, especially with more casual fabrications. Thanks for the inspiration Angie! Polished and professional, but not overdone. Can see this looking good in any office situation! Just what I’m looking for! Thanks! A wonderful look that could be worn almost anywhere that formal business wear wasn’t needed. This is my uniform for pretty much 5 days of the week. Love this blouse ! Love this! I always strive for a good mix of traditional and a little more fashionable work attire. These ideas help! Thanks so much, Angie, for teaching me how to think about pleasing combinations based upon proportions! This is the element that was least instinctive for me, and now I have the tools I need to appreciate what you’ve done here with your client. Playing with silhouettes is a great way to achieve variety and to update a wardrobe, and this combo is terrific. 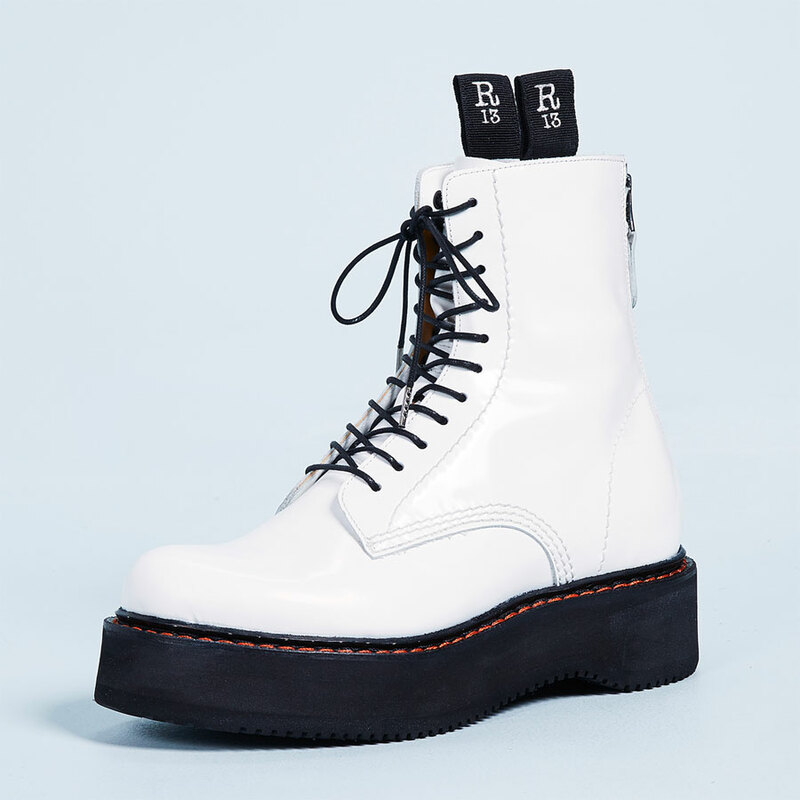 I plan to buy more trousers to replace some of my late summer/early fall and BR is at the top of my list because of their fabulous fabrication. The outlet fits are even better for me, and the fabrications are still good. Although their welt pockets are often disastrous on me! Great look. I would certainly be wearing this to work every day. Love the blouse. A thought just occurred – with these particular items you’re showing, do the voluminous sleeves of the kimono-sleeved blouse fit under the jacket? Glad the outfit formula is helpful. Karie, it’s a great combination in an air-conditioned office despite hot weather outside, isn’t it. Lyn67, I look forward to seeing your new pants look on the forum. Sounds super. Krish and Suz, high-waisted pants are a fab idea. They won’t change the look because you’re wearing the top untucked. (The top isn’t that short to start off with either – after all, this is a work look). Yes, Ledonna. 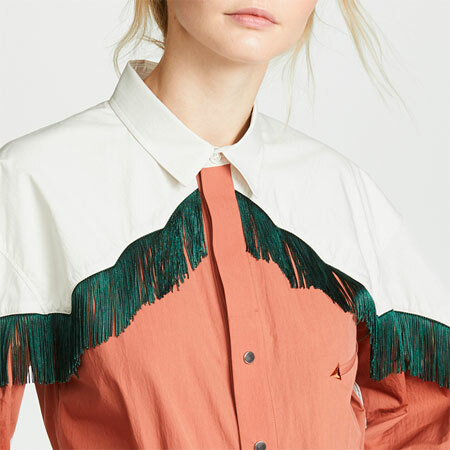 The trapeze style blouse with kimono sleeves is breezy. A camisole is a good idea if a drafty office with a/c is a problem. Donna, have you tried a petite? Nice ways of dressing down the look, Tanya, Diane & Diana. Laura, that’s dead right. And good point. YES. The kimono sleeves are very soft, and fit under the jacket just fine. I thought the outfit formula might look familiar, Lisap. Beth Ann, hope you find pants SANS disastrous welt pockets. Great outfit formula! I don’t really like tucking in my shirts, so these tips work great. Hey, I’m wearing a v. Similar combo today! This has basically my work formula right now. Easy to wear, hides the tummy and still looks streamlined. Thanks for the examples. Love the combo and will be wearing it! Thanks! Love this! I’m wearing something quite similar today, in fact! Great combination. I’m dressing for “lunch with the ladies” at a casual, but very elegant, beachside restaurant and was wondering what to wear. 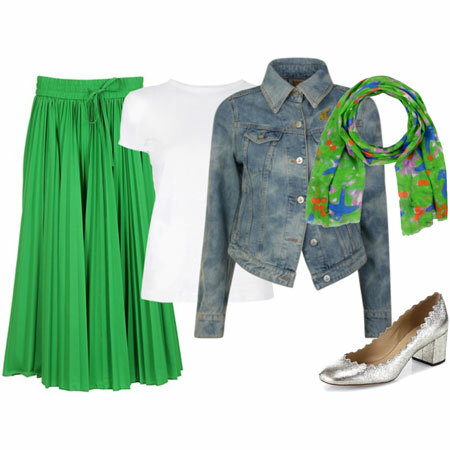 This outfit will be perfect–easy to pull out of my closet, comfortable, and with just enough polish to fit the setting. Thanks to you, this senior has never looked so good! Beautiful look! Was so glad you posted about the correct length for ‘ankle length’ pants. I’m at that awkward pant inseam – I think I need 3/4″ shortening – but then the problem seems that then I need the pant tapered. Ah so hard to be PPP!! Thanks, Angie – this is right up my alley. I’ve been “over” classic trousers for a while and have been enjoying ankle pants this spring, especially on days that are too cool for bare legs. Angie – I’m long-torsoed and not short so I’ve never tried. ? . Fab ensemble! I am still not ready to surrender the waistline quite so much, though I am still learning to dress my post baby body. Great post – thanks! Banana Republic is getting another order from me today. Yesterday I ordered the faux wrap dress you recommended, and today I’m ordering the moto jacket. It’s fun to hear that you like this look – both for and away from the office. Donna, try a petite large. Funny – I am wearing an outfit similar right now at work. Will have to take a picture and post. This is a formula I love to wear to work. Yes! Like the formula. 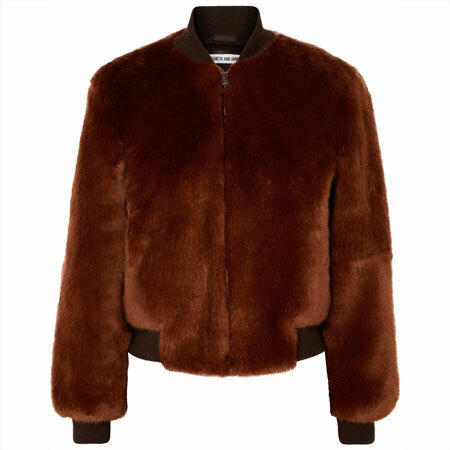 On the lookout for an appropriate jacket. This is a perfect look for my frigid office. Love the ankle pants. I am enjoying the update information and options. Paradoxically I’m swinging back toward the middle, now looking for more straight or possibly mini-bootcut pants. Ankle pants are not “working for work”–I think due to my shape, proportions needed for tops ( I need a larger longer top to balance the pants taper, and then I get chopped up). So I just think I need longer pants and so must identify a few optimal styles for those. Also inability to utilize a topper such as jackets shown, which would to some extent give some good balance on top. However, it has still been fun to sort out WHY certain combinations work or don’t work and where I want to end up. The challenge for me is to get the update via top or shoes or both, with fewer variations in pants. However, I can use variations in pants fabrications, though the right fabrics are a kind of HEWI. I’m so glad you have pointed out the ppl for the Sloans! I’ve been confused because of varying examples and now I know! Thank you. This is such a great business casual look, but I could see this as a super look for non-business Casual, too! Perfect for lunch with the girls, book club or dinner out on date night! I have to disagree, unfrumped. You need to TUCK your top to create a longer leg line with your long torso and ankle pants. Plus wear ankle strap footwear. I KNOW, Caro. Those Okala ankle strap heels work with just about any bottom. I have three pairs. SOOOO comfy. Great formula, Angie–thanks for the tips. “Sick of jeans”–what??? Not sure that is possible. I had to laugh. HAH, Firecracker. I shan’t be giving up my jeans either, but I do love a non-denim outfit. Okay, I hear you Angie and think I understand what is going on. I think what I am finding is that more of the ankle pant styles are cut through the hips and thigh in ways that I find “not flattering enough” for tucking. Both from the rear view and whatever goes on in the front as well. Not never, but kind of a HEWI as need to have more ease there, and then the problem of leg taper gives the ice-cream cone look. I do have 2 pair of pants that I can tuck due to more roomy cut there–one is last year’s version with pleats I would still like to wear. Also just tried an AT pant in a Tall size to give longer rise and stride length I need and ease for appearance, and may be able to tuck those. unfrumped, have you tried curvy fit ankle pants? And your version with the waist pleats is fabulous. Yes, curvy fits are what I target. It’s just interesting, that when they are more tapered from hip to knee, the shaping gets problematic and I just maybe am sensitive/picky about that. Good to know about the pleats. I’ve kept an eye out for very subtle pleats or something that behaves that way without being too poufy, and fullness hitting at just the right area (some of the low-rise pleats are full in the wrong place). Also I don’t have work-worthy ankle strap shoes at this point. I do have ankle-strap low wedge peep-toe sandals that are now about 3 years old, weren’t even purchased for the ankle pant craze but are fun and comfortable and now work great for casual/ casual-dressy ankle pants/rolled pants. I am hanging on to them for dear life! Perhaps may find something that is comfortable but polished for work. Thanks for suggestions to help me update in a workable way! I’m taking notes here, as I’m always looking for inspiration on how to wear my new sea foam cropped jeans. And this is a gorgeous office-appropriate look, love it. unfrumped and Inge, ankle trap footwear is on your shopping list. When I realized ankle pants were not going away, I adopted this “formula” as a spring/summer uniform. I am not a great semi tucker but have found it can work with a banded bottom top or an untucked top if it is not too long. Since I need a lower heel for walking all day, a low vamp, pointy toe shoe is the absolute must for leg lengthening. I am still hunting for the perfect ankle strap to try. Love the suggestions on PPL and pieces you show! Interesting, Christieanne. A HIGH vamped shoe is leg lengthening with ankle pants to my eye (so the opposite of what you are saying). Or better still, ankle strap footwear. Closing the ankle gap is what creates a more flattering look. Pumps don’t close the gap – unless they have ankle straps. Hi Angie- an interesting discussion! I have always steered clear of both shorter pants lengths and ankle straps because I have what could be best described as peasant-stock ankles! Can I then re-think this? !